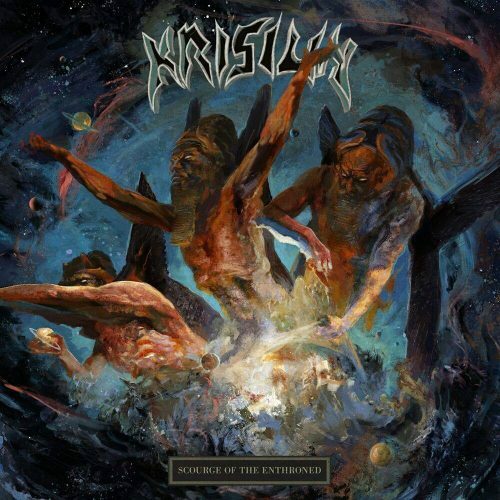 As I started to write this small review for Krisiun‘s new album Scourge of the Enthroned, I found myself thinking that this band needs no introduction. 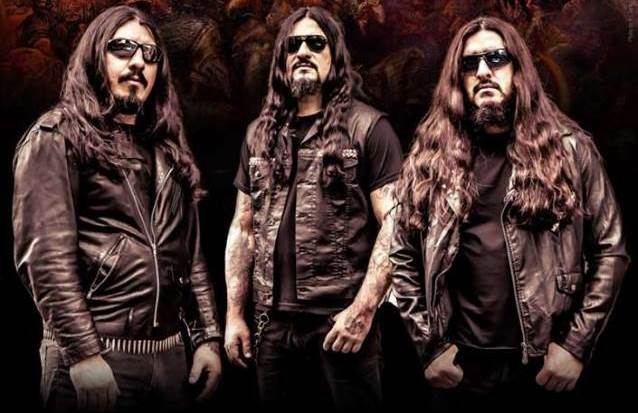 They have been active since 1990, releasing crushing Death Metal from their homeland of Brazil. After this many years of activity, some bands tend to reduce the intensity and fury of their music, evolving into something more, or something less. Sometimes change is good, at other times not so much. In the case of this band, they seem not to have aged one bit, still combining that fury and precise execution that I discovered back in my country. The year was 1996, and in the Dominican Republic this type of music was hard to get. But fortunately, there was a guy there who somehow got all the music (or knowledge) and would burn tapes, and one of those was Krisiun’s debut album. Black Force Domain (1995) is one effort that every Death Metal fan should listen to at least once in their life. This band in the vein of Immolation, Incantation, Death, Deicide, and Drawn and Quartered, scared me and motivated me to question everything. They opposed the establishment and Christianity, and sure as hell did not care at all whom they might offend. Living in a country where 85% to 90% of the population was Catholic, this music which opposed the church (among other things) attached itself to me and was what I needed — furious blasts with diabolical riffs and a voice that made you feel how angry they were as you listened to the music. 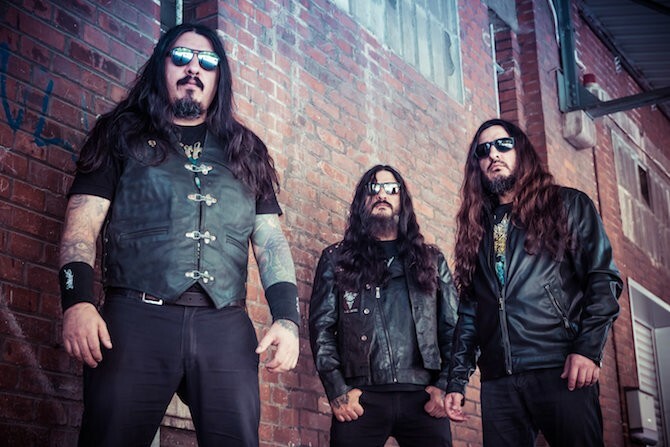 After their debut album Krisiun maintained their core members, and their vision for what the band should be, and that alone was and is the formula of their success and longevity — maintaining their identity and not caring who or how many might approve of it or not. As mentioned, many bands tend to experiment or change their direction in time as a way of evolving. Damn, I’m almost 40 and not the same person I was at 16, you get the idea. Things tend to change, but not Krisiun, or at least not fundamentally. For me at least, their evolution might be found in the type of production they chose for a given record or some changes here in there in their song structures, and in the case of 2015’s Forged In Fury I had some mixed feelings as a result of those changes. To prepare for this review, I moved from their first album through the newest one, and that trip reinforced the conclusion that this band is one the most consistent you can find in the metal scene. I should also point out that from their last three efforts, production-wise Scourge of the Enthroned is my favorite; it enhances the fire that burns so evidently in each of the 8 songs that are presented as a story. And that is another aspect of Krisiun‘s new album that makes it so strong — their lyrics are very good and they do tell a story that keeps one holding the booklet while listening. The new album is absolutely furious, and the songs are filled with riffs that keep the listener engaged. The drums are executed without mercy, forming a great duo with the bass, and the vocals are as savagely enraged as ever. This is a great effort that has placed it among my favorites from Krisiun‘s long career. And if you do buy the physical format, you should sit down with the booklet and read along while listening; you won’t regret it. I just wish could see them on their upcoming North American tour with Suffocation, Cattle Decapitation, and Soreption. Support these legends if you can, and buy the album. It’s worth it!!!!!!! I dont know what it is w Krisiun. I loved their early work. Now, somehow the start stoppish nature of the drums-riffs tandem bothers me. As if I cannot lock into the groove. These melodic patterns were–as I recall–not so ubiquitous on earlier albums and they were therefore–to me–more ‘brutal’ and visceral. I do like these guys quite a bit, but they haven’t been quite as consistent to my ears. The first three albums were great, especially “Conquerers…”, which I felt really upped things for them. But that Ageless Venemous I found sort of boring, and drum production was awful. Works of Carnage followed up and is my favorite album of theirs, ever. But then Assassination dampened my enthusiasm. Then Southern Storm was awesome! But since then, I haven’t really enjoyed any of their albums. I’ll give the new a spin, hopefully they surprise me.